We set out on our BBQ competition road trip, a week ago, Monday morning; first driving through deserts, then mountains and finally prairies before arriving at the Arrowhead Stadium in Kansas City late Wednesday night. The parking lot was almost empty and it actually felt like we had gotten there too late. We quickly parked the trailer and headed to bed as we had a lot of things to do the next morning before the start of the competition. Thursday was spent meeting up with old friends and making new ones, breaking in the new GMGs on the trailer and doing a practice cook before the big showdown. 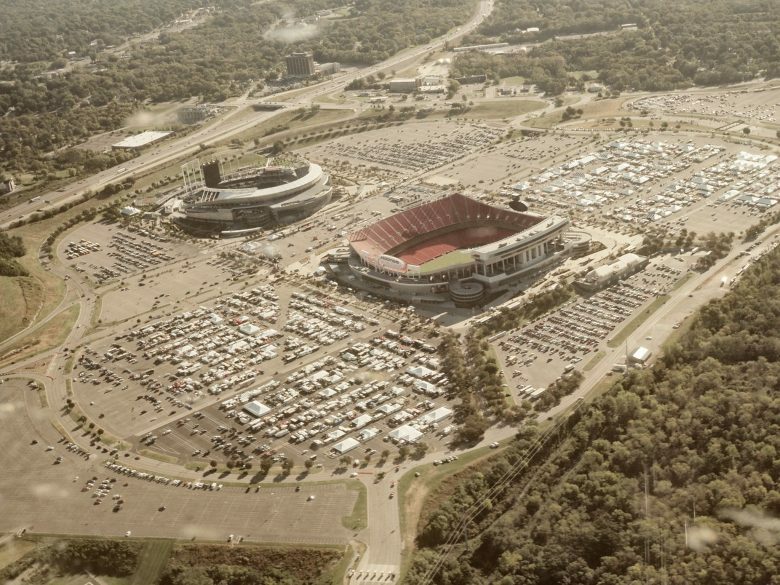 During this time the parking lot at the Chiefs Stadium was filling up. At one point we walked away from our site only to get lost trying to find our way back. Every hour, dozens of new cooks arrived. 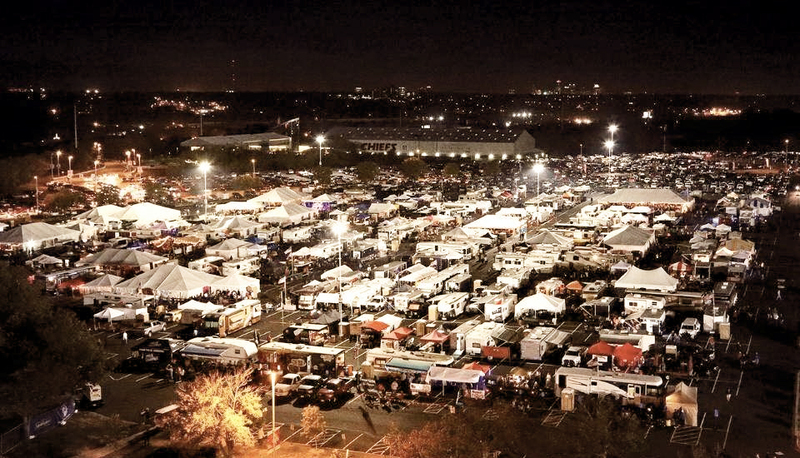 The parking lot quickly went from a few dozen teams Thursday night to a few hundred Friday afternoon. The sun set, smoke floated low in the cold night and people gathered around their campfires. The start of the competition was almost here. We arrived back to our site early Friday morning in hopes of getting the meat inspection done (which is mandatory before any seasoning can be applied). With 180 teams competing in the Invitational portion of the competition, getting meat inspection early is a must. We flagged one of the Representatives down and we got started prepping our brisket and pork for the overnight cooks, we like to have at least 12 hours for our injections to marinade the larger cuts of meat. During prep you could hear the American Royal Crowd begin to get more lively. As the day gave way to night, the noise increased dramatically. I had heard about the crazy parties at the Royal but what took place there was unbelievable. We took a couple hour walk to see what all the commotion was all about, as we left the comfort of our own camp, there were parties as far as the eye could see and every couple hundred yards gigantic parties with bands and hundreds of people poured out into the aisles. Needless to say with a band playing every couple hundred yards it was a little hard getting some shut eye. We did manage a couple hours of sleep after the fireworks and before putting the brisket and pork butts on the Green Mountain Grills. It was cold in Kansas City but the GMGs held temps with light puffs of blue smoke throughout the night. We woke up to perfect mahogany bark and a smell only real smoked BBQ can provide. Our timeline was right on schedule and we made all our turn ins on time. Happy with our cook it was all in the judges hands now. With 180 teams and all of them being past winners it was anyone’s game. As we say, turn in good BBQ and cross your fingers. 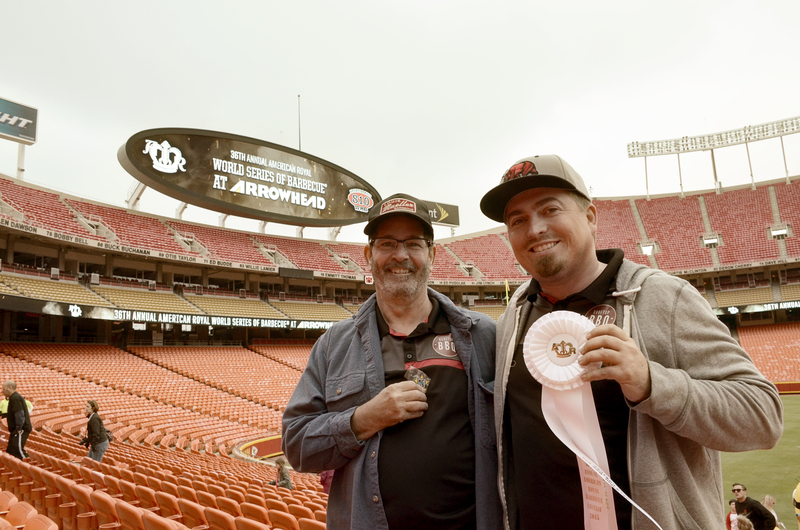 The next couple hours flew by and we were making our way into the Arrowhead stadium for awards. Any good cook knows that going into an awards ceremony expecting a call is bad luck, we were just happy to have been able to compete in such a prestigious event. 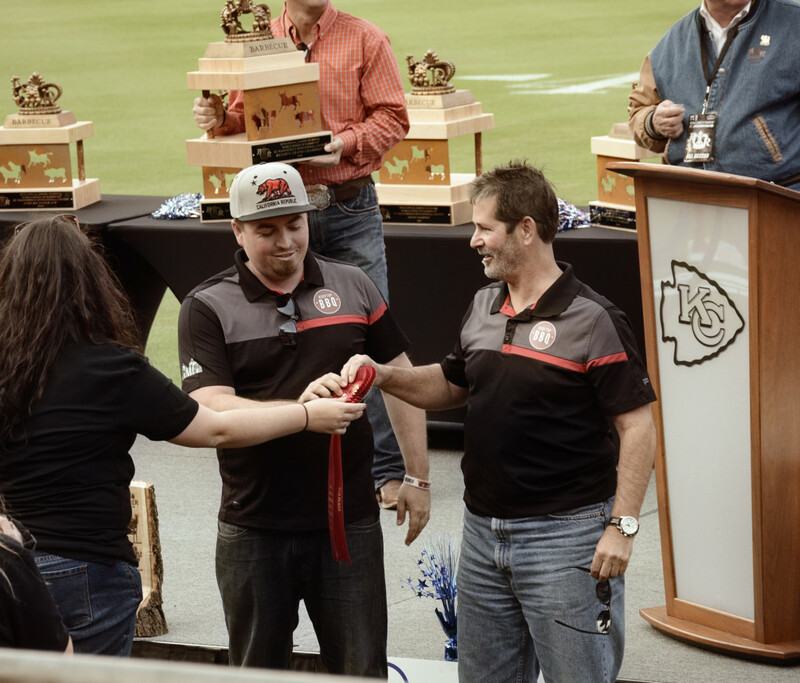 BBQ competition awards can be a very stressful time, announcers typically start at 10th place (or in the Royals case 15th place) and make their way up to 1st. You can see that as they move up in the list the chances of getting a “call” decrease, so we were completely shocked to hear our name called for 2nd ribs. We quickly ran up to the stage and tried our best to savor the moment taking as many mental pictures as possible. 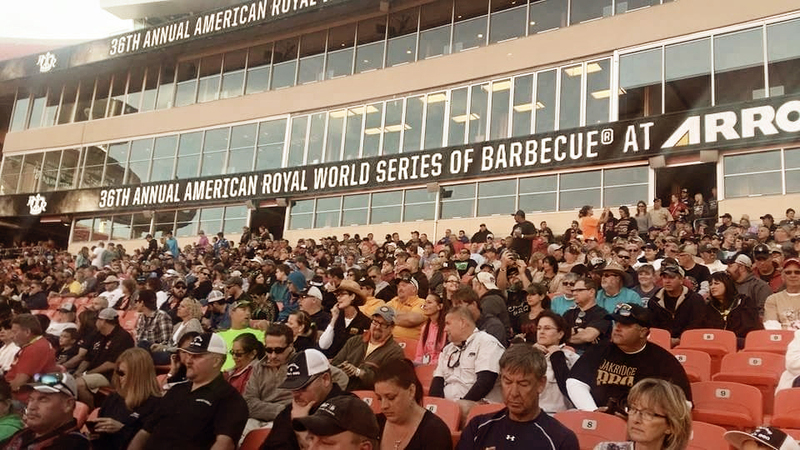 We took our seat watching our friends and BBQ heroes make their way down to the field for the rest of the categories. Still on cloud 9 we went back to work preparing for the open competition taking place that night for a Sunday turn in. Saturday night was a much different experience. Those teams who had been partying the night before were now focused on the competition. The night was silent with the exception of the hum of generators . With over 600 teams now cooking, smoke lingered heavy in the air. We woke up with another set of perfectly smoked meats off the GMGs ready to be wrapped in foil for the final part of the cook. Turn ins went very smooth, just as they did the day before. We did make one big change; the day before we had a very low score in brisket which cost us a top 10 call for overall. I had heard rumors that brisket in KC has to be sweet, so with that in mind we sauced our brisket with some of our rib sauce. This was the first time we had EVER sauced a brisket. We turned it in with hopes that the rumors were true. Two hours later we were back in the Arrowhead Stadium but this time it was packed. Im guessing around 30,000 people were sitting anxiously awaiting to hear their name called. 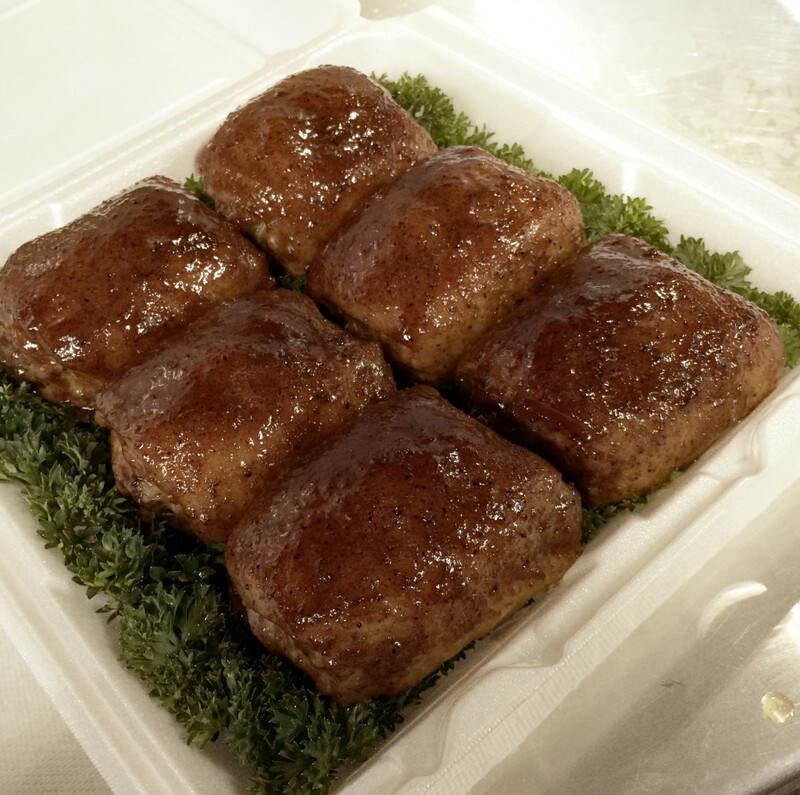 As the categories were called, our hopes sank, first chicken…nothing, ribs….nothing, pork…. nothing, finally brisket. As they made their way from 15th place and up, each place called was one less chance to be called, especially since we had turned in an experimental brisket. As they reached the top 4 they announced that all top 4 teams had received a 180 (perfect score). By this time we had given up hope. Then the call of a lifetime, Rooftop BBQ 4th in brisket with a perfect score. What a moment and one I’m sure to never forget. 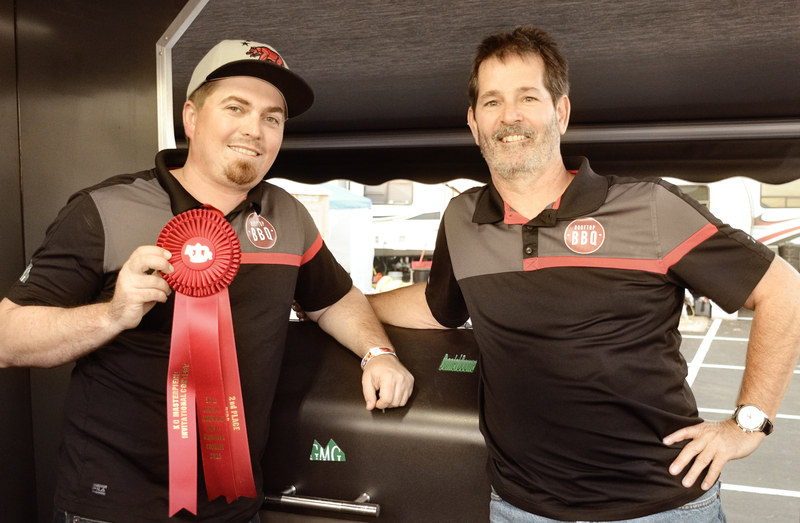 After brisket came the overall scores and without knowing our scores for our other entires, it was another shock, 8th overall out of 600+ teams—meaning that even though brisket was our only call, our other meats had done well too. The GMGs proved their worth yet again, and in two weeks they will be tested again at the Jack Daniels World Championships. 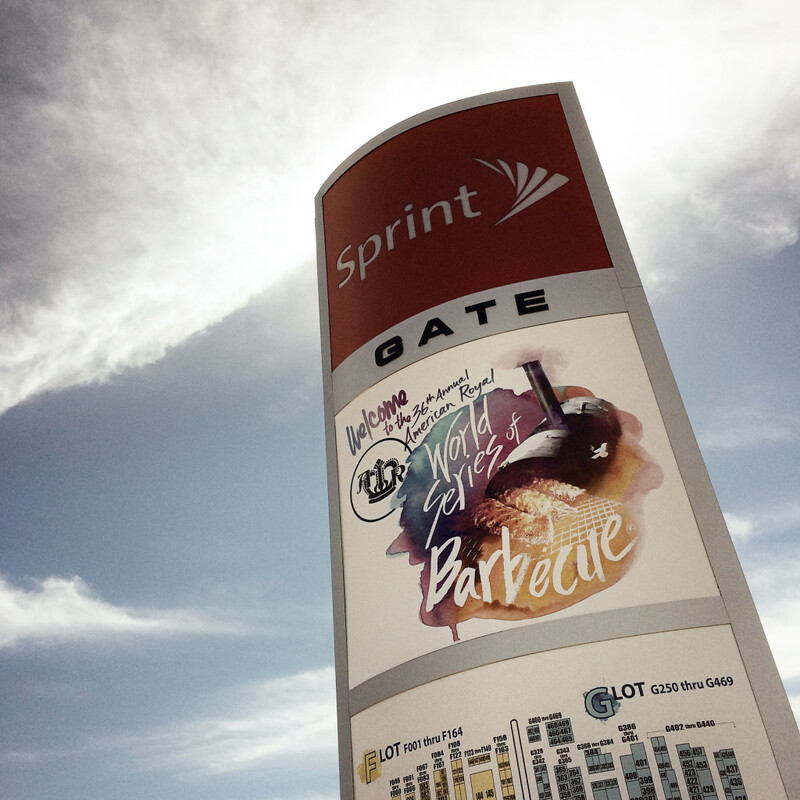 Stay tuned and make sure to follow us live on the periscope app @gmgrills. You had some very good points. Growing up in South Texas, I thuohgt the only wood was mesquite, but have since learned that there are other good choices out there. Post oak is really good if you can find it and that’s what the Big 3 in Lockhart (and other places use). Pecan is nice as well. Cherry and apple both go well with chicken (and fish) and yes, chicken is acceptable bbq. But brisket is king. Enjoyed your post.